Replacement CB Antenna Whip. 36" Stainless Steel Non-Tapered Whip with Brass Tip! 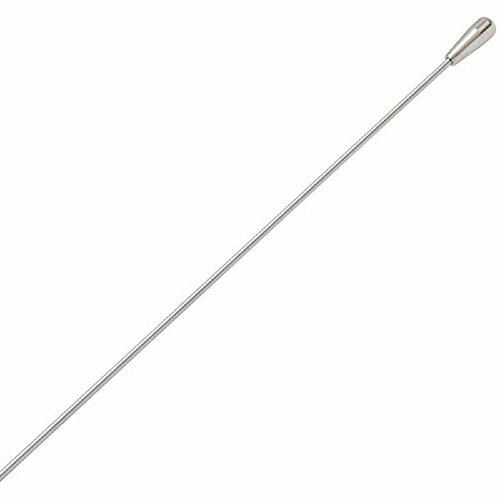 This antenna is a replacement for the Wilson 880-300122 "Little Wil" Antenna. Non Tapered and 0.100" Diameter Listing is for the replacement whip only and does not come with the screw on base. The whip has great flex and will not simply break like a fiberglass antenna. EASY installation and you really cannot go wrong with this whip! •• Great replacement part for your CB radio antennas, and Pro Trucker offer other sizes as well. Please check out the Pro Trucker Product Page.